Kevin Spacey wears Persol 714 folding sunglasses in the movie All The Money In The World (2017). The color of the frame is tortoise. 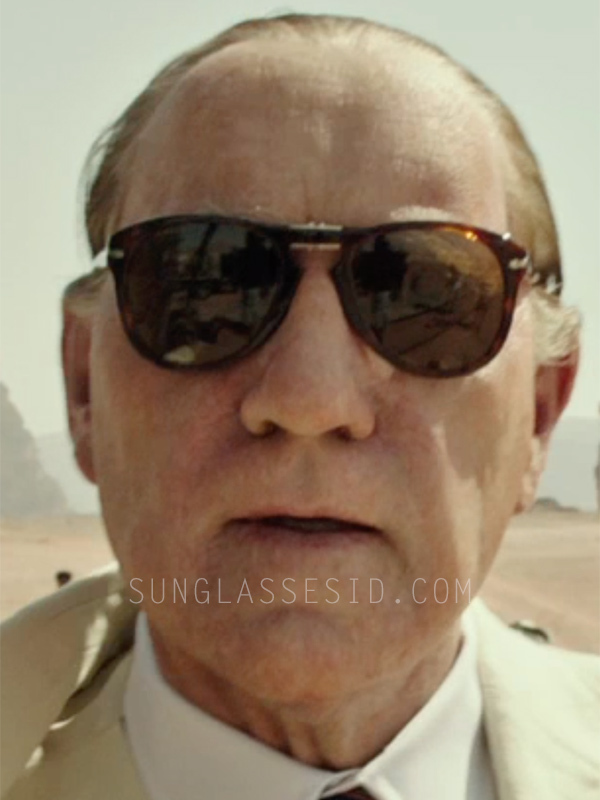 The details (nosebridge hinges, side Persol hinges) of these classic sunglasses, made famous by Steve McQueen, can clearly be seen when Spacey takes of the glasses in the desert. 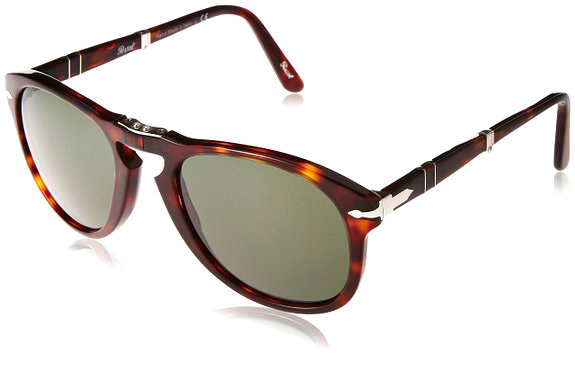 The Persol 714 model, seen in many films, is a foldable version of the classic 649 shape which was designed in 1957. Spacey plays oil tycoon Jean Paul Getty in the film (based on true events) about the kidnapping of one of Getty's sons. Get the Persol 714 glasses online on Amazon.com, Amazon.co.uk, eBay (a good source for the Steve McQueen version with blue lenses), or FramesDirect.